Why Can't More First Daughters Be As Cool As Alice Roosevelt? Even though she'd probably be kinda fun to get drunk with, Jenna Bush is a real Debbie Downer these days with her book Ana's Story where everyone is poor and gets AIDS. Barbara seems similarly into boozing but what has she done for me lately? 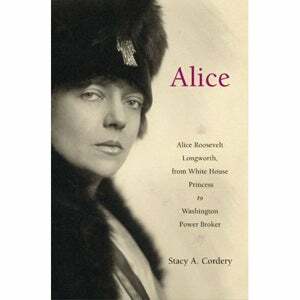 Neither of these pallid first daughters can really measure up to the example set by Teddy's daughter, the notoriously ballsy Alice Roosevelt Longworth, who bore the child of Senator William Borah while she was married to speaker of the House Nick Longworth. When they were respectively 41 and 60, Alice and the senator became the parents of a baby, Paulina, who would be readily accepted by both Nick Longworth, 56, and Mary Borah, 55. This would mean an unorthodox family arrangement and create catty nicknames ("Aurora Borah Alice"). Because of Alice's inveterate political nature, it also meant that she forsook the House of Representatives to spend time watching the Senate. Earlier, when her father moved out of the White House, she made a voodoo doll of incoming first lady Nellie Taft and buried it in the front lawn. She also publicly referred to Nellie as "hippopotamus face," joked to R.F.K. about scaling Mount Kennedy and kept a needlepoint pillow that said, "If you can't say something good about someone sit right here by me." Wouldn't you rather sit next to Alice than demure hedge funder snooze fest Chelsea Clinton?